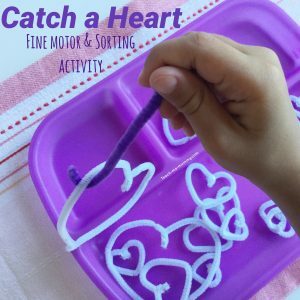 Look at this easy-to-set up and so-great-for-learning-hands-on hearts fine motor tray! PS- do check out these Fine Motor Books , almost 200 fun fine motor activities in two ebooks! 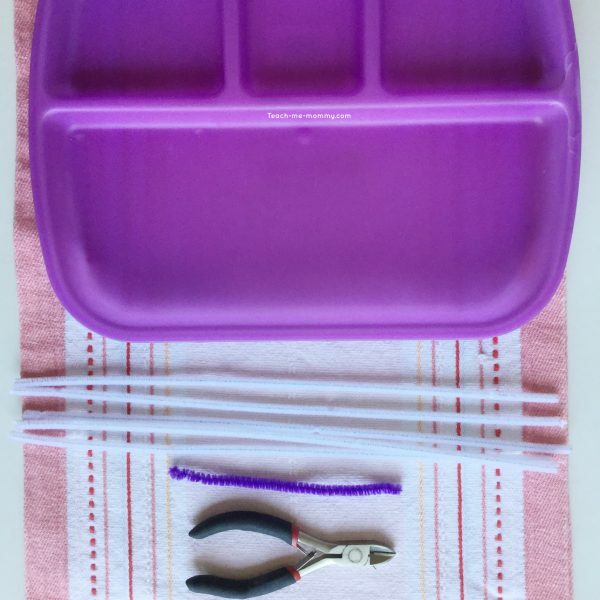 Pipecleaners and a tray is all you need! (A tray with three compartments like THIS ONE) and a wire bender if you choose, but not necessary. I cut the pipecleaners as shown below. 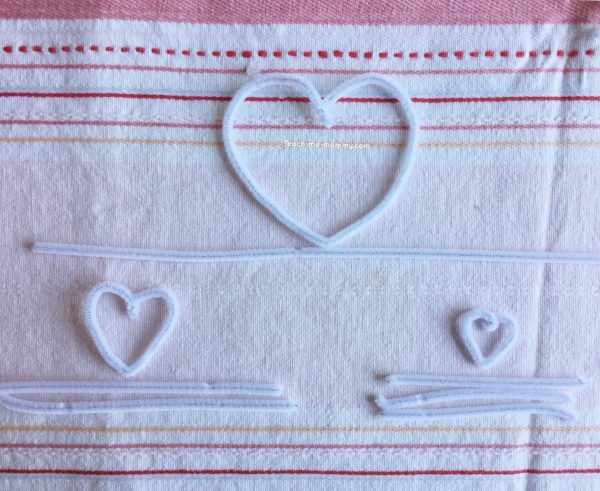 One whole pipecleaner for a large heart, half of a pipecleaner for a medium heart and a third of a pipecleaner for the small hearts. You can cut as many hearts and sizes as you want. I chose small, medium and large because it works well with the tray? and it is vocabulary my 5 year old needs to learn. Bend another pipecleaner into a hook. 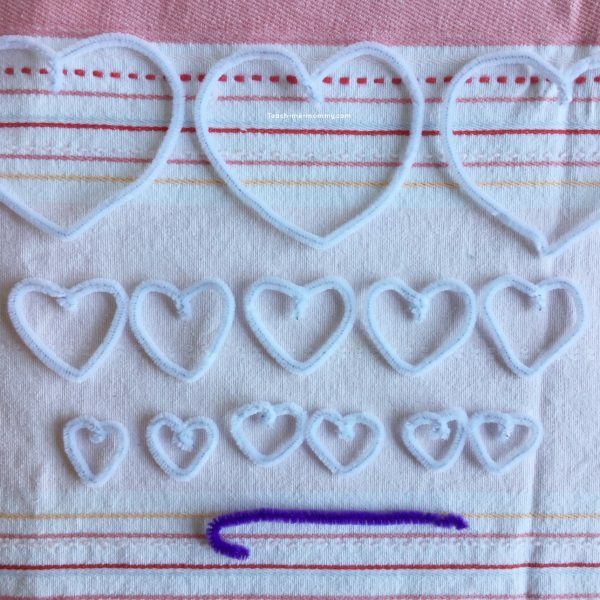 Show your child to sort the hearts according to size after “catching” the heart. Fine motor skills and perceptual skills at work here. Make a game out of it and time yourself, beat each other’s times or beat your best score. 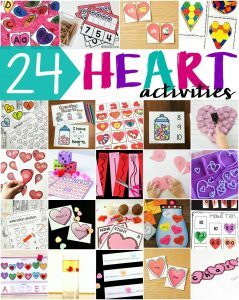 A fun fine motor activity to make today!